Canada’s recently appointed agriculture minister said the federal government is pressing China to provide verification of its claims that Canadian canola exports have been contaminated by harmful organisms. “We are pushing the Chinese officials to provide us with either samples or to let some of our specialists go there,” Marie-Claude Bibeau told a gathering of the Calgary Chamber of Commerce Tuesday morning. China has been blocking some imports of canola from Canada due to what it describes as fears over contamination. Foreign ministry spokesperson Lu Kang said last week that China moved to suspend canola imports from Richardson International, one of Canada’s largest grain processors, due to “harmful organisms” found in the grain. China’s customs administration later said in an online statement that four of its offices had discovered a variety of pathogens in the Canadian canola. Bibeau said Canadian scientists have seen no such evidence. The Chinese ban on canola comes amid the diplomatic rift between the two countries over Canada’s arrest of a Chinese technology company executive. Relations between Canada and China have been tense since Meng Wanzhou, the chief financial officer of Huawei, was arrested in Vancouver in December at the request of authorities in the United States, where she is wanted on charges of fraud and violating sanctions against Iran. Farmers across Canada have expressed concern about becoming “collateral damage” in the ongoing canola dispute, which many see as related to the broader tensions with China. Calgary Chamber president Sandip Lalli said the trade dispute should be of concern even to those not directly involved in the agriculture sector. 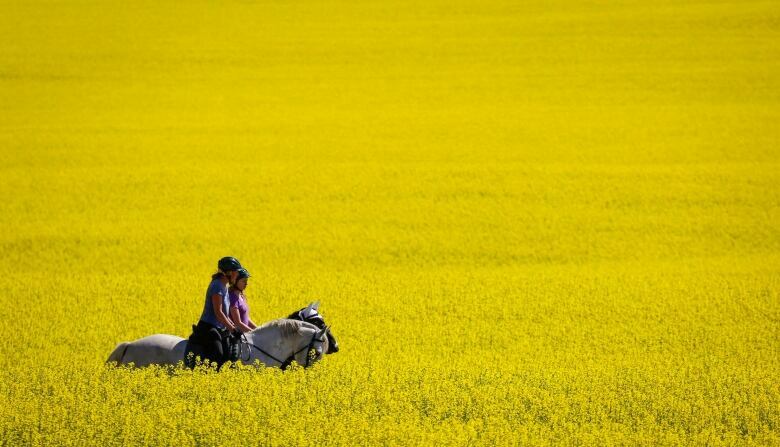 Canada exported more than $5 billion worth of canola last year, with nearly half of it destined for China, according to the Canadian Canola Growers Association. Rick White, the association’s chief executive, noted Richardson International is among the largest shippers of canola in the world. He worries about the impacts on farmers if the company is unable to export to the Chinese market for an extended period of time. “If Richardson can’t buy and move it and send it to China, farmers are to be left with it here in Canada,” he told CBC News. Bibeau is relatively new to the agriculture file, taking over as minister on March 1 as part of Prime Minister Justin Trudeau’s cabinet shuffle.